The GTX 1060 has just jumped ahead of the GTX 750 Ti on Steam's latest hardware survey with a very high 1.1 percent month-to-month growth rate. 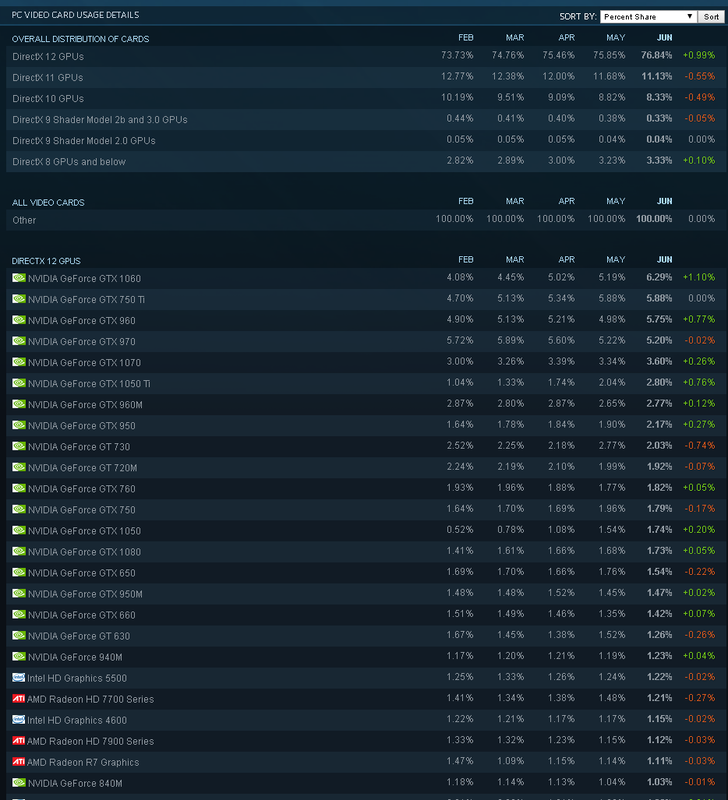 Steam publishes a portion of its vast database online for users to see including most popular titles, player hardware specifications, and total hours played. 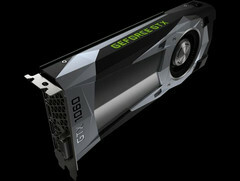 Just this month, however, the digital distribution platform has revealed that the GTX 1060 only recently surpassed the GTX 750 Ti as the most popular DirectX 12 graphics card. The milestone is notable as the GTX 1060 has only been in market for about one year compared to over three years for the GTX 750 Ti. Whereas the Kepler card launched for $150 USD, the newer Pascal option was $250 USD when it was first available (or $200 USD for the slightly slower 3 GB model). Suffice to say, Nvidia's Pascal series is quickly superseding its immediate Maxwell and Kepler predecessors especially in the mainstream ~$200 USD range. Nevertheless, one thing to note is that Nvidia no longer has a separate naming convention for the mobile GTX 1060 versus the desktop GTX 1060. The Steam data does not appear to be itemizing the two GTX 1060 GPUs as separate entries whereas all previous families are distinct (ex., GTX 960M vs. GTX 960). As a result, the GTX 1060 could be inflated if compared directly against the GTX 960. 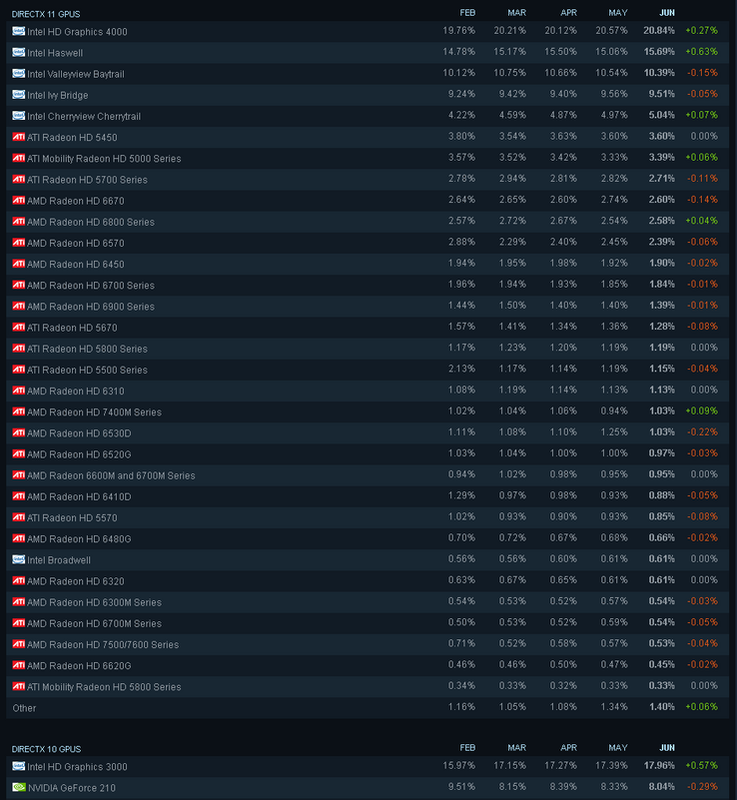 Combining the GTX 960M (2.77 percent) and GTX 960 (5.75 percent) will in fact give a larger market share than the GTX 1060 (8.52 percent vs. 6.29 percent). The recent launch of GTX 1070 and GTX 1080 Max-Q notebooks will likely only add to the confusion.